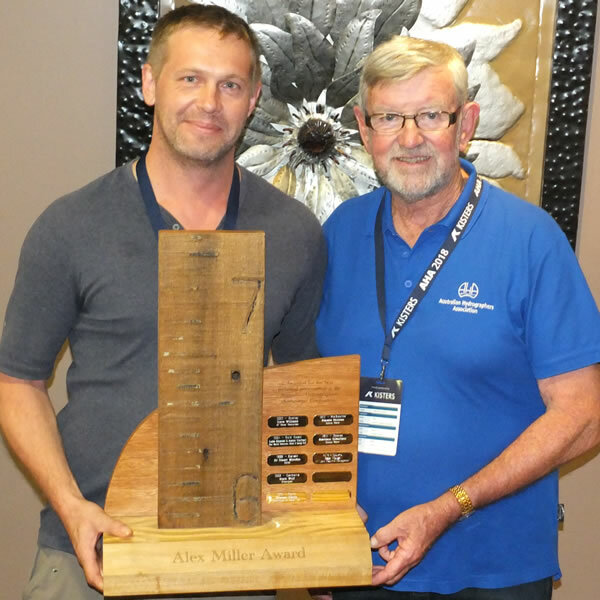 Queenslander Mark Randall was voted best presentation and awarded the Alex Miller Award at the AHA 2018 Conference in Canberra on Thursday 17 November 2018. Mark’s presentation covered new Space Time Image Velocimetry (STIV) technologies for measuring water velocities from satellite images. Mark had previously presented at the AHA 2012 conference in Melbourne on the development of National Industry Guidelines for acoustic Doppler water monitoring, now published on the Bureau of Meteorology website. The Alex Miller Award commemorates hydrographer Alex Miller (1944-2001) who led the resurgence of AHA and inaugurated biennial conferences in 2000.